Episode 4×15: “The Sinking Ship The Grand Applause” — Bullock and Gordon try to track down someone who is key in Sofia’s control over Gotham. 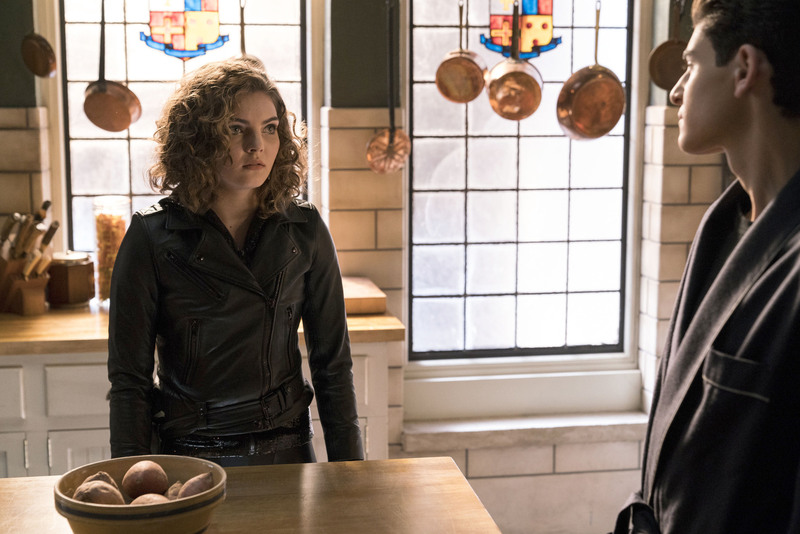 Meanwhile, Penguin, Lee and Nygma enlist an unlikely ally as they seek revenge, and Selina asks Bruce for a favor to help rid her of her guilt over Ivy. Gotham stars Ben McKenzie as Detective James Gordon, Donal Logue as Harvey Bullock, David Mzouz as Bruce Wayne, Morena Baccarin as Leslie Thompkins, Sean Pertwee as Alfred, Robin Lord Taylor as The Penguin, Erin Richards as Barbara Kean, Camren Bicondova as Selina Kyle/the future Catwoman, Cory Michael Smith as Edward Nygma/the Riddler, Jessica Lucas as Tabitha Galavan, Chris Chalk as Lucius Fox, Drew Powell as Butch Gilzean/Solomon Grundy, Alexander Siddig as Ra’s Ah Ghul, Crystal Reed as Sofia Falcone. Guest Cast includes Anthony Carrigan as Victor Zsasz, Kyle Vincent Terry as Headhunter, Stu “Large” Riley as Sampson, Christopher Convery as Martin, Nathan Darrow as Mr. Freeze. Air Date: Thursday, March 22 (8:00-9:00 PM ET/PT) on FOX. GOTHAM "The Sinking Ship The Grand Applause"